Last autumn, indie-folk rocker Angel Olsen released her sophomore album “My Woman” to widespread critical acclaim, and as a result, she garnered a much wider fan base. Though it has been considered very good, the album had a markedly different tone than the rest of her body of work. 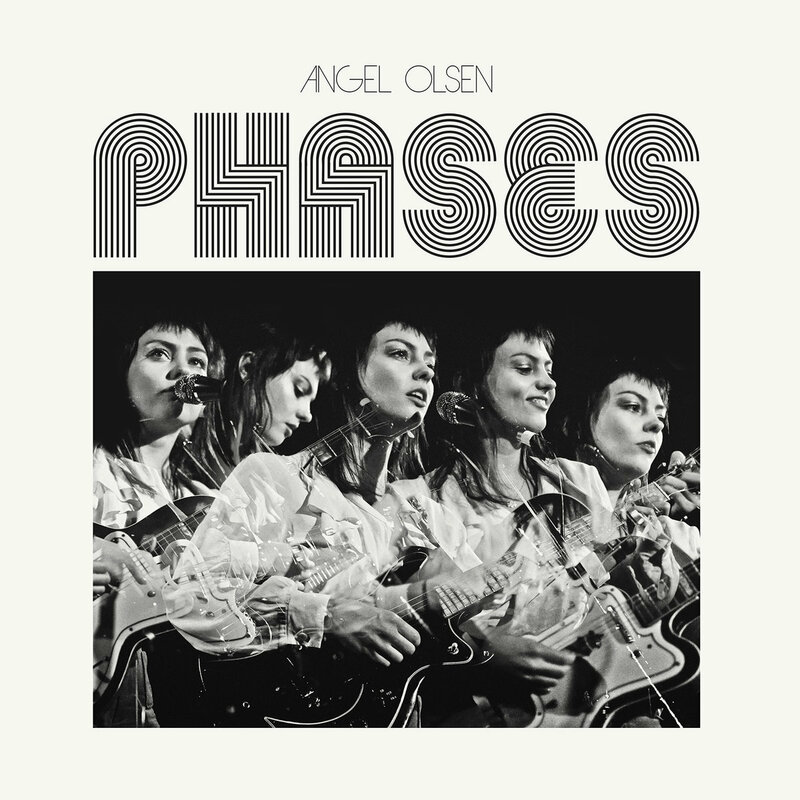 This month, she just released “Phases,” a compilation album of demos, covers and unheard material as a way to show new fans what she is about while still releasing some new stuff. The first two tracks were scraps of “My Woman.” The most recently recorded one is the album opener, “Fly on Your Wall,” which was originally released earlier this year on a collection of songs, “Our First 100 Days,” by artists against the presidency of Donald Trump. The song’s beginning harmony sequence and rhythm pattern evokes a sense of darkness then march to triumph, which is fitting to the context it was originally released under. Also cut from “My Woman” is the steadily building song “Special.” “Special” starts the first minute with a distant, crunchy, reverberated guitar with only Olsen’s crooning voice accompanying it, and then layered vocals, thick basses, distorted guitars and a faint organ at the end slowly pop up to add to the mix. This culminates a long, energy-driven song with subtlety. The next few songs have such a notable shift in ambient sound that it can easily be distinguished that they were not recorded in the same setting as the first two; however, they still possess the similar style of the jangly guitar being quieter than the rest of the major sounds and the bass shoved to the forefront. “Only With You” and “All Right Now” also both showcase pleasant, ethereal vocals from Olsen near their endings. A standout towards the middle of the album is “Sans.” With just the pulsing twang of her guitar chords complementing her crying voice, Olsen produced a song that would seem to be an outtake for Bruce Springsteen’s “Nebraska” instead of her own work. The aforementioned sensation that these songs were not all recorded at the same time comes back jarringly in the transition between “Sans” and “Sweet Dreams,” her very first single. While the bulk of her songs have guitar at a hushed volume, the chords starting this one are loudly up front. Combined with Olsen wailing like she is doing the theme of a James Bond movie, the tune feels somewhat out of place here. Although she recorded her own song that could fit on a Springsteen album, she actually did a cover of one of his songs that wound up on “Phases” called “Tougher Than the Rest.” This cover may be the softest song on the album. It has the same production style as “Sans,” but it lacks the energy that “Sans” had that made it noteworthy. Plus, the exceptionally low fidelity strips away more character to the song than it adds, or it at least masks what would have been a flare-less song otherwise. The last few tracks are just filled by short, simple songs that clearly did not get far off the drawing board, aside from the shortest song of them all, “For You.” The up-tempo harmony and bouncing melody hint at something that could have been fleshed out into a fully worked song, but only this demo is heard (which is still a nice, warm piece). The only way to experience listening to “Phases” and get a sense of fulfillment is to recognize it for what it is: a compilation. Olsen did not sit down in a studio to hash these out in a couple weeks; they were written and recorded over the entirety of her career. There are some obvious flow troubles and overt sonic differences which affirm that sentiment. It is best heard as an artist study: an amalgamation of all they have done presented in a reverse chronology. “Phases” is best suited for the lover of lo-fi bedroom recordings with a soft spot for indie rock.